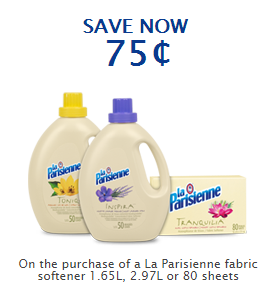 La Parisienne, a Canadian brand of detergents, is now offering a couple of new coupons. Actually, there are a couple of options that you can use separately or together (better together!). See the details about La Parisienne's coupons below. 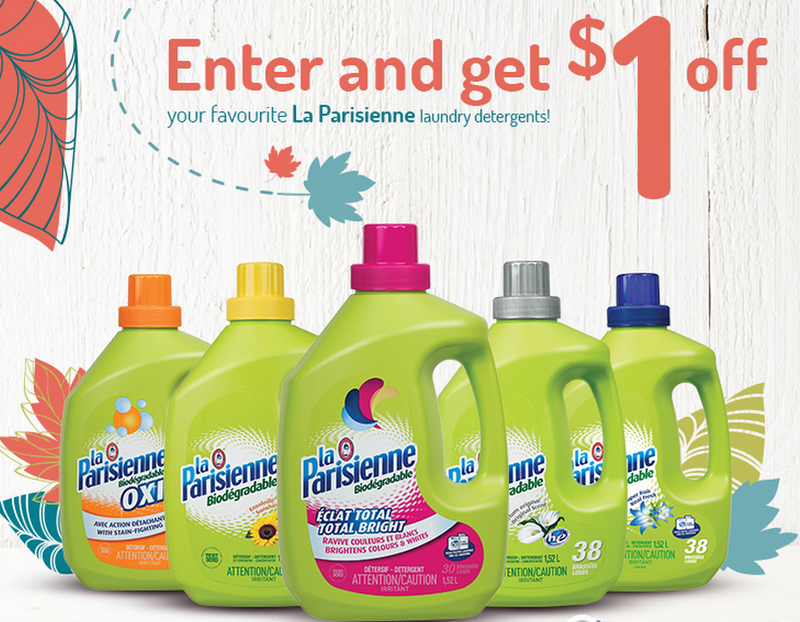 You can claim this $1 coupon off your favourite LaParisienne detergent on Facebook. To claim your coupon you will have to sign up for it. 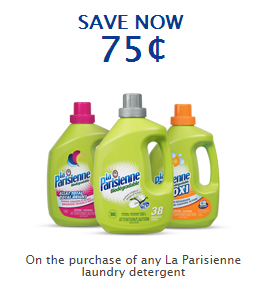 You can always visit LaParisienne.ca and order the available coupons. Historically, the coupons available on the brand site tend to have lower dollar values than the coupons on Facebook. But it's worth ordering the coupons from the two places.